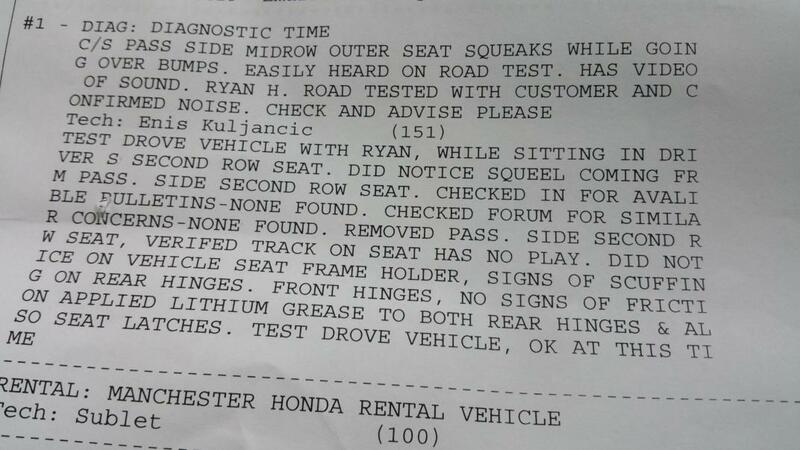 Honda field engineer was out on 9/12 to fix the issue but he cannot fix it but he recognized problem so it is not hardware issue, it is about software. He said therre will be a software update out mid To late October. I just came across this thread this morning. Same as everyone else, error messages and also screen going completely out. The next day it comes back on like nothing happened. Same with one of the other guys on here, we were on a road trip to Yellowstone when this happened. I'm not upset that the kids dont get to watch TV, I'm more upset about something I bought not working correctly. It's at the dealership now, dropped it off before I knew others were having the same issues. I'll bring this up and see what they tell me. Well got back from dealer with new radio/computer installed. Same crap. Repair did nothing and system is still not working properly. 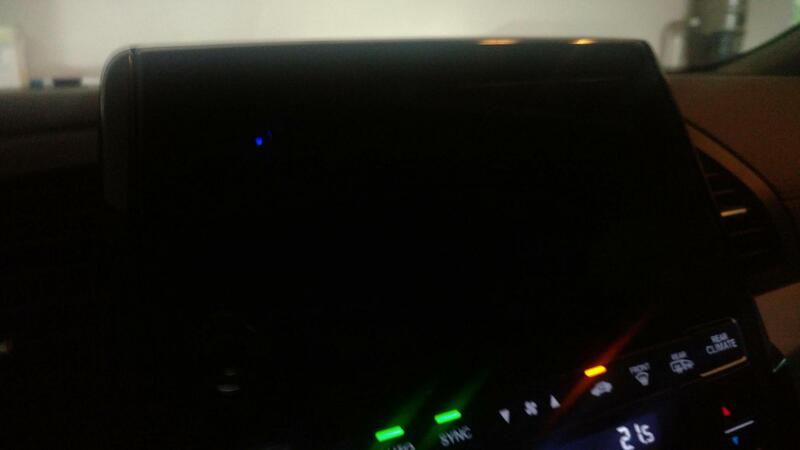 Didn't even make it home before complete shutdown to blank screen after network lost message... while driving. And my seat still squeaks like crazy. I'm going to fight for a new replacement vehicle now. Already opened case with Honda Canada. Wish me luck! Even you open the case Honda Corp does not buy back or replacement. You have to call comsumer protection in your local to find out lemon law. From that they could work with Honda Corp . I'm sad to report that after the dealer kept the car for a week and replaced a couple of things, the issue with rear entertainment and cabin watch is still there. I think this is now solved with a new control box for us. See this thread. Thanks, I'll mention it to my Honda dealership. 1. I note that from the RES screen when I select USB, it tells me to plug in the USB device (pointing to a non existing front dash location for the Touring Elite), yet even when I had it plugged in (in the correct centre console compartment), RES screen can't locate the USB device. Front screen works fine and can find the iPhone. 2. From Cabin Control app or RES screen, I realize that one cannot control the volume. If I sit in the back and wanted to select music to listen to, I can only go on Bluetooth as that's the only way the entire car's music volume can be adjusted from the back. 3. On the Elite (Canadian Touring), front centre console USB port charging seems very weak. My iPhone had to restart twice before the car provided enough juice to keep it running from a fully deleted battery. 4. Not sure how Media Servers work, not particularly optimistic. May plug in the Apple TV just to play around, don't trust the system yet to spend on HDMI/Lightening cable at this point. Last edited by IHMC; 10-10-2017 at 09:51 PM. Just a quick reply. For media server, install a dlna server on your phone and connect the phone to the hotspot of the car. Sadly it doesn't always find it. I am having the same problems with the cabin watch and the rear entertainment. I have had my Elite less then 2 weeks. It was produced in July 2017. Has anyone found a fix? According to another user here he claimed that replacing some sort of component was the fix while my dealership refuses to do that and is just waiting for the update that should come in a few weeks. I was under the impression the firmware update is coming by end of October. Have you guys gotten any update? When I go to System Update, it checks for updates and display a pop up box saying System is updated. The issue is still the same so I know I don?t have the latest update. Is there a way to check what version Im currently running?